A Plymouth man has been found guilty of nine offences relating to the taking of wild bird eggs and the disturbance of several breeding bird sites in Devon and Scotland. Jason North, aged 49 from Plymouth, appeared before Plymouth Magistrates’ Court on Thursday 3 May and admitted the offences which included taking wild bird eggs. 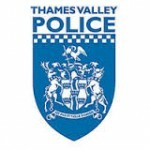 He pleaded guilty to nine offences under the 1981 Wildlife and Countryside Act. 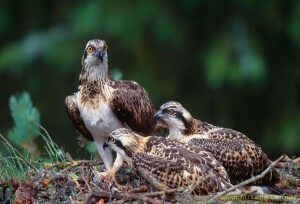 This included the possession of Osprey eggs, the disturbance of Peregrine, Golden Eagle Osprey & Little-ringed Plover. He received a six week suspended sentence, was fined £665 for taking Osprey eggs, and ordered to pay £750 costs. In December 2016, Devon and Cornwall Police, launched an operation off the back of intelligence received which placed North at locations of rare and sensitive breeding bird sites. This led to a search warrant at his address. A subsequent investigation, assisted by the RSPB, brought North before the court. 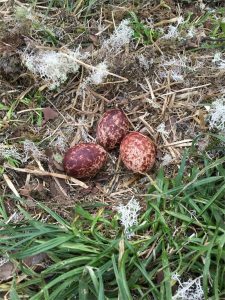 PC Josh Marshall, Wildlife Crime Officer for Devon and Cornwall Police, said: “The simple message is that taking and collecting wild bird eggs is against the law. 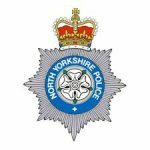 “North was unknown prior to this investigation and only brought to account for his illegal activities via a number of diligent members of the public reporting to police confidentially. 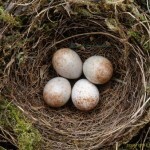 “North’s computer equipment was sent for forensic examination which led to a number of photographs and videos being located which showed rare breeding birds’ nests and eggs along with photographs of egg collections. These included Peregrine Falcon, Little-ringed Plover and Hobby sites in Devon and from Scotland the iconic Golden Eagle and Osprey. “These pictures were taken at locations within Scotland and Devon. The phone linked to these images was registered to North. Diaries found at his address held information on rare breeding bird sites and references RSPB experts believed related to the collection and processing of wild bird eggs. “This was an extensive investigation with numerous lines of enquires undertaken that required the assistance of many experts in the field of the species concerned to provide evidence. Also assistance was received from persons responsible for monitoring these birds in the field. I would like to thank these members of the public that have provided this crucial evidence which has led to these convictions. “This highlights the growing trend in the public’s awareness around these matters and the willingness for them to get involved. 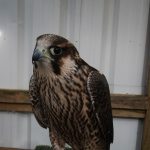 It also further serves as a warning to potential or active offenders that you stand a high risk of being brought to account for any illegal activity you commit in respect of wild birds. “Licensing is put in place for a number of species to enable effective monitoring and photography not to frustrate those wishing to study these birds. Persons are encouraged to ensure they comply with the law (WCA 1981) at all times and apply for licences where required. Whilst it is not illegal to study birds at the nest licensing is required for some species.